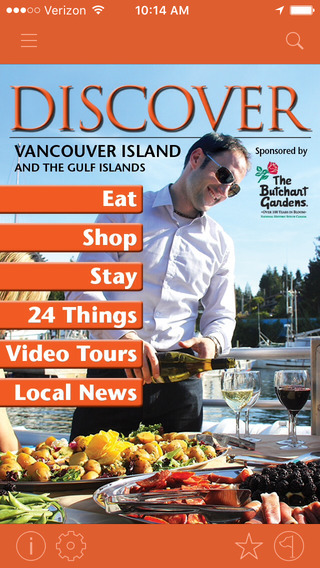 Tour Victoria is your passport to a fun and informative GPS video tour! Like a guide book in your iPhone or iPad, Tour Victoria enables you to select and stream or download professional video tours of Victoria British Columbia. The rich, fun and educational touring experience is delivered through full color video, compelling audio, musical soundtrack, still images, historical photography, films, animation and interactive content that communicates the stories that makes Victoria so unique and wonderful. As you embark on your self-paced tours, you will enjoy the following features: Interactive, zoomable map, Routing to the next point of interest. Additional embedded information such as phone numbers, websites and email addresses which enable you to quickly connect for more information. There are even coupons for some of Victoria’s most popular attractions and favorite spots frequented by locals and visitors.